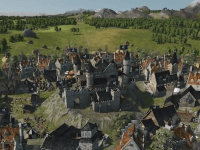 Grand Ages: Medieval offers a High Middle Ages strategy experience with campaign, free play, and multiplayer, available on PC and Steam OS on September 29 and PlayStation 4 on October 23. Grand Ages: Medieval is now available for PC and SteamOS (PlayStation 4 launches on October 13). 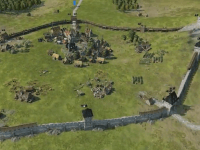 Take a fly over of a beautiful 4x strategy game, Grand Ages: Medieval, coming to PC in 2015!